Born and raised in Bergen, Norway, Harald Mundheim went to sea at age 16 working on ships. 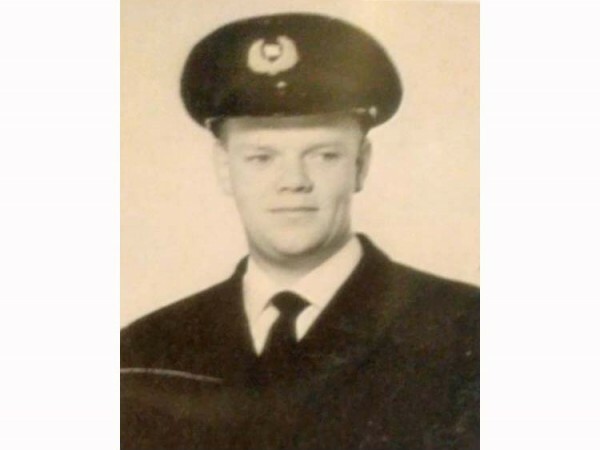 He then did his mandatory military duty in the Royal Norwegian Navy, traveled the world on the ocean’s highways, and ultimately became a deep-sea navigator. He met and married his wife, Irene, in Bergen. Together they immigrated to Canada, moved to Port Alberni, and had one son, Roy Gunnar. Harald started his second career working at the A.P.D. mill in 1969 and shortly after became a millwright. He retired in 2005. He loved his job and made many friends. He often called Port Alberni a “paradise” and once settled, never thought to leave. Harald enjoyed a good drink and a good joke (especially if he was the one telling it). He loved the outdoors and being in nature. He was an avid hunter and fisherman. He enjoyed walking, swimming, strategic card games, and was a fan of sports (especially speed skating, soccer, and ski-jumping). Harald is survived by his brother, Arne (Bergen Norway) and his sister, Elisabeth (Porsgrunn Norway) and many nieces and nephews. He leaves behind his wife of 51 years, Irene Mundheim and their son, Roy Mundheim (and his wife, Lesly Engdahl). Harald requested no service but instead for friends and family to remember him fondly, repeat his jokes, and to smile when you think of him. He will be deeply missed. In lieu of flowers, please donate to The West Coast General Hospital Foundation. www.wcghfoundation.com.